It is clear that youth unemployment leads to many negative outcomes in terms of both material and mental wellbeing. Here, Ronald McQuaid summarises the multiple scarring effects of youth unemployment. Current high levels of youth unemployment will therefore be felt by society for decades, making effective policy responses incredibly important. Being unemployed when young leads to a higher likelihood of long-term ‘scarring’ in later life in terms of subsequent lower pay, higher unemployment and reduced life chances according to much research (see, for example, work by Bell & Blanchflower and Strandh et al). There is also evidence of greater mental health problems in their 40s or 50s. So the impacts of current high levels of youth unemployment will be felt by society for decades. There are lots of problems with analysing the causes and effects of such long-term scarring and the reasons for it appear inter-connected. For instance wellbeing and mental health may affect subsequent income and chances of getting and keeping a job, but are themselves influenced by unemployment. Some broad overlapping reasons for scarring include: (1) employer responses, (2) the person’s human capital, (3) their expectations, (4) job search and (5) the influence of external factors in the economy and society. First, employers may consider periods of unemployment on someone’s CV to be a negative signal, for example signalling perceived low productivity, hence increasing the likelihood of a person not being hired or being offered only a lower level job. Second, unemployment at the start of their career may lead to having lower skills or to a general loss of confidence by the individual. Cognitive skills (for example, learning skills and the ability to process information) are likely to affect the productivity and adaptability of a worker and hence their likely pay or ability to get a suitable job later in life. Indeed, having no or few qualifications is usually a predictor of unemployment. Non-cognitive skills (for example, a person’s dependability, self-discipline, inter-personal skills, communication, adaptability, consistency, persistence and self-confidence) are also important. There is limited consensus as to the degree that such non-cognitive skills can be altered after adolescence and the effects of youth unemployment on them, although there is evidence that some can be altered throughout working life. There are also strategies that can assist in compensating for low cognitive skills such as planning (e.g. detailing where, how and when to start job search), which can improve the transition from job search intention to actual behaviour. So there is much that can be done to help those young people who find themselves unemployed, especially developing cognitive and non-cognitive skills. The direction of causation of the scarring effects is unclear as low self-confidence may lead to unemployment and/or be a result of unemployment, with a recent study finding that low wellbeing amongst those currently unemployed is unlikely to be fully attributable to poor mental health leading to job loss, as job loss also reduces mental health. Third, scarring may change people’s expectations, such as creating a greater expectancy of future unemployment. Indeed anticipated unemployment, rather than the experience of past unemployment, can reduce job satisfaction and wellbeing. Those who have been unemployed when young may carry a greater fear of future, recurrent unemployment, reducing their wellbeing as least in the short term. Fourth, success in searching for a job depends partly on factors such as aspirations and awareness of their own productivity as well as contacts with others in their social networks and these may be more limited in those suffering spells of unemployment when young. Using the US 1979 National Longitudinal Survey of Youth, workers’ positive attitudes and optimism were found to influence future employment and wages through their decision to participate in the labour market (including whether to search for a job), and it is likely that unemployment in youth may reduce such optimism. In addition, factors such as an individual’s personality, social networks and childhood experiences may influence the form and extent of scarring. Finally, external factors such as the availability of local jobs, the wider economic environment or effectiveness of agencies and policies may influence scarring. It is possible that experiences of unemployment may have less impact on the prospects of those living in high unemployment areas possibly due to social norms being influenced by the greater prevalence of unemployment. Another factor is that highly-educated young people, or those from a wealthier background, may be more able to wait for a better job offer, while those with lower education get fewer offers and are under greater pressure to accept short-term or less suitable jobs, potentially leading to them entering a low-pay, no-pay cycle. The evidence of being unemployed when young, especially for longer periods, having scarring effects on future pay and employment prospects seems strong. There is also considerable evidence that it may influence health and wellbeing, including psychiatric illness during young adulthood and psychological health and an increased likelihood of smoking as well as lower general satisfaction with life. In some recent research we considered the progress of a cohort of young adults aged between 18 and 24 in 1998 that were followed for a decade using the large British Household Panel data. So by 2008 they were 28-34 years old. The same database was used to analyse future pay, unemployment and wellbeing effects. It suggests that for pay, the number of weeks unemployed both five and ten years earlier is significantly associated with lower pay in 2008. After ten years, the factors significantly associated with higher pay the previous month, included being male, having children in the household, having a degree and not renting nor frequently talking to neighbours. There is also evidence of scarring on future unemployment, with unemployment both five years and ten years previously being associated with a greater likelihood of being unemployed. Interestingly, in this study, there is little evidence of scarring on life satisfaction, an imperfect but broad measure of wellbeing. Satisfaction with life after ten years was significantly positively associated with having children in the household, qualifications, meeting people regularly, a better financial situation and non-cognitive skills such as not losing self-confidence. This appears consistent with those arguing that circumstances (e.g., income, marital status, etc.) have surprisingly small effects on overall wellbeing in the longer term. Clearly there is scope for further research on scarring, including the influences of early childhood factors. What is clear though is that youth unemployment leads to significant long-term scarring for many and policy makers must put much more effort into both reducing youth unemployment and seeking to understand and ameliorate its long-term effects. Note: This article was first published at British Politics and Policy at LSE. It gives the views of the author, and not the position of EUROPP – European Politics and Policy, nor of the London School of Economics. Ronald McQuaid is Professor of Work and Employment at the University of Stirling. His has a BA(Hons) from Lancaster University and an MSc(Econ) with distinction from the London School of Economics and a PhD from Harvard University. 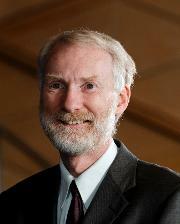 He has carried out work for many regional, national and supra-national bodies such as the European Commission, UK and Scottish Governments, UK Commission for Employment and Skills, Joseph Rowntree Foundation and various agencies and employers in the fields of employment, unemployment and economic development. He has written over 100 academic publications as well as many reports on employment and related issues.